The Nigerian legal system is composed of the English Common Law, Nigerian customary law, and Islamic Law. Business transactions are governed by the Common Law, as modified by statutes to meet local demands and conditions. The Supreme Court is the highest court in the land with original and appellate jurisdiction in certain constitutional, civil and criminal matters prescribed in the Constitution. The Court of Appeal hears appeals from the National Industrial Court, Federal and State High Courts, Sharia Courts of Appeal and Customary Courts of Appeal. The Federal High Court has jurisdiction in matters connected with the revenue, admiralty, banking, foreign exchange and other currency and monetary or fiscal matters. The State High Court has jurisdiction to hear and determine both civil and criminal proceedings. The National Industrial Court has jurisdiction in labour and industrial relations matters. Sharia and Customary Courts of Appeal exercise jurisdiction in civil proceedings involving Sharia and customary law respectively. Magistrates’ Courts, District Courts, Area Courts and Customary Courts all have original jurisdiction in civil and criminal matters. This Act established the NIPC as an investment promotion agency of the Government. NIPC is responsible for registering foreign investments in Nigeria, as well as liaising between investors and government, institutional lenders and other organisations concerned with investments. procurement and repayment of foreign loans and interest thereon by Nigerian companies without prior ministerial approval. The Investment and Securities Act 2007 contains comprehensive provisions on matters relating to securities and investments in Nigeria. The Act regulates mergers, acquisitions and other forms of business combination, securities transactions, including electronic transfer of registered shares, capital market operations in all their ramifications, borrowing by States, Local Government, other Government agencies and business entities, etc. An Investment and Securities Tribunal to settle any dispute arising from the operators of capital trade points and exchanges in Nigeria. The NIPC Act of 1995 forbids nationalization or expropriation of a business or assets unless the acquisition is in the national interest or for a public purpose. In such cases, investors are entitled to fair compensation and legal redress. No person who owns, whether wholly or in part, the capital of any enterprise shall be compelled by law to surrender his interest in the capital to any other person. A right of access to the courts for the determination of the investor’s interest or right and the amount of compensation to which he is entitled. 3. Any compensation payable under this section shall be paid without undue delay, and authorisation for its repatriation in convertible currencyshall where applicable, be issued. 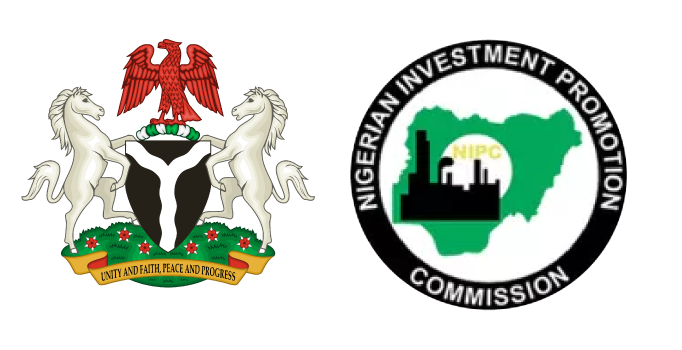 Section 26 of the NIPC Act seeks to ensure the amicable settlement of disputes between investors and the government. However, where such is not successful, arbitration serves as the main alternative resolution mechanism. The Arbitration and Conciliation Act of 1990 provides a unified legal framework for the fair and efficient settlement of commercial disputes by arbitration and conciliation. It also makes applicable the Convention on the Recognition and Enforcement of Arbitral Awards (New York Convention) to any award made in Nigeria arising out of international commercial arbitration. The Act allows parties to challenge arbitrators, provides that an arbitration tribunal shall ensure that the parties receive equal treatment, and ensures that each party has full opportunity to present its case. Litigation is also a method of dispute resolution. Nigeria’s civil courts handle disputes between foreign investors and the government as well as between foreign investors and Nigerian businesses. Nigerian law allows the enforcement of foreign judgments after proper hearings in Nigerian courts. However, where there is disagreement between the investor and the Federal Government as to the method of dispute settlement to be adopted, the International Centre for Settlement of Investment Dispute (ICSID) Rules shall apply. Nigeria is a member of the United Nations Commission on International Trade Law and a signatory to ICSID and the 1958 Convention on Recognition and Enforcement of Foreign Arbitral Awards (New York Convention). Nigeria has bilateral investment agreements with 31 countries; 15 of which are in force. The country also has Double Tax Treaties with 13 countries, and is a signatory to 21 Investment-related instruments. The agreements make provisions for the elimination of double taxation with respect to taxes on income and capital gains. Section 41 CGTAprovides that any arrangement set out in an order made under Section 38 PITA and Section 45 CITA so far as they provide (in whatever terms) for relief from tax chargeable in Nigeria on capital gains by virtue of this section, have effect in relation to CGT. An IPPA seeks reciprocal promotion and protection of investments by individuals and companies in the territories of participating States. An IPPA provides the baseline minimum protection for foreign investments. Partners: China, Finland, France, Germany, Italy, Korea Republic, Netherlands, Romania, Singapore, South Africa, Spain, Sweden, Switzerland, United Kingdom. ECOWAS Treaty is a multilateral agreement executed by 15 countries in West Africa to enhance and accelerate economic and social development in the region. Further to the Treaty, ECOWAS set up ETLS as an operational tool to promote and facilitate trade within the region. (b) abolition of non-tariff barriers among members states to facilitate free movement of goods and services across member states. The NIPC Act guarantees foreign investors the unrestricted transferability of proceeds from their investment in Nigeria and capital repatriation in the event of liquidation. Investments in form of share capital contribution or loans may be made in foreign currency but information on such transactions must be submitted to the CBN by the dealer (i.e. a Nigerian bank) within 24 hours in order to obtain a Certificate of Capital Importation (CCI). Dividends, Rent, Royalties, Profits (net of taxes) attributable to the investment. Dividend payments are subject to withholding tax at 10% as final tax (7.5% for qualifying recipients in a treaty country). Payment of interest and capital on foreign loans. A tax clearance certificate is required to remit dividend and interest out of the country. The remittance of proceeds (net of taxes) and other obligations in the event of a sale or liquidation of the enterprise or any interest attributable to the investment. There is currently no ceiling on profits distributable as dividends, provided such distributions are from profits and not capital, and there are no reasonable grounds for believing that the company is or would be insolvent after the payment. The Nigerian Legal system strives to protect intellectual property through the Trade Marks Act, the Patents and Designs Act, and the Copyright Act. Trademarks distinguish the goods or services of one enterprise from those of another. They are registrable at the Trade Marks Registry, Abuja. Registration of a trademark confers on the person registering it, a right to the exclusive use of that trademark for a period of seven (7) years, which may be renewed. The common remedies for trademark infringement include injunction, award of damages, delivery up or destruction of the infringing goods. Patents and designs relate to inventions. An invention can be patented if it is new, is capable of industrial application, or constitutes an improvement upon a patented invention. This must also be registered to be protected. A patent expires after twenty (20) years from the date of registration, while a design is effective in the first instance for five (5) years but renewable for two (2) consecutive periods of five (5) years each. Copyright automatically applies to original creative works (such as literary, musical and artistic works, cinematograph films, sound recordings and broadcasts) as soon as they are created. A copyright is valid for fifty (50) years in the case of broadcasts, sound recordings and cinematograph, and seventy (70) years for literary, musical and artistic works. The Nigerian system enables people with skill and enterprise to produce and market goods and services in the fairest possible conditions, thereby facilitating trade. The Nigerian Copyright Commission is responsible for the administration of all copyright matters. The remedies for the breach or an infringement of copyright are damages, injunction, accounting for profits, delivery or destruction as well as conversion of rights. NOTAP regulates the transfer of foreign technology and technical expertise to Nigerian companies. Any agreements involving the transfer of foreign technology to a Nigerian company must be registered with NOTAP as a pre-condition for obtaining foreign currency. Non-registration will frustrate transfer of any payments to be made outside Nigeria under the respective Agreement. Fees payable under the agreement (such as royalties, management fees, software licenses, etc.) must not exceed limits prescribed by the NOTAP and the CBN. The agreement must clearly specify the services to be provided or the features of the process or product being licensed. The Nigerian House of Assembly recently passed the Federal Competition and Consumer Protection Bill 2017. The bill seeks to establish a Federal Competition and Consumer Protection Commission and Tribunal to promote fair, efficient and competitive markets in Nigeria. It will also facilitate access to safe products by all citizens and protect the rights of all consumers in Nigeria. 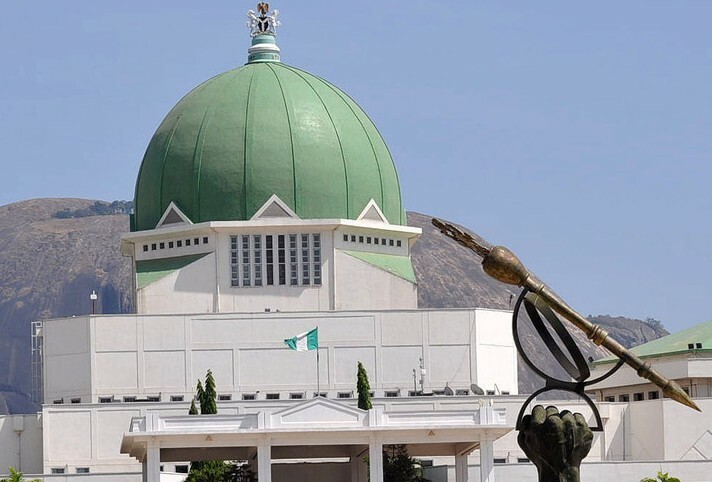 Now awaiting the assent of the President, the bill which will affect all sectors of Nigeria’s economy, will also establish a National Administrative Framework for consumer protection, remove regulatory overlaps, create regulatory harmony between the Commission and other agencies involved in consumer protection and create a strict liability offense for common unfair trade practices. The Federal Government established the Presidential Enabling Business Environment Council (PEBEC) in July 2016 to work progressively towards removing bureaucratic constraints to doing business in Nigeria and make the country a easier place to start and grow a business. The Council is an inter-governmental and inter-ministerial chaired by His Excellency, Vice President Yemi Osinbajo, SAN, and comprises ten ministers, the Head of the Civil Service of the Federation, the Governor of the Central Bank of Nigeria, representatives of the National Assembly, the Judiciary, and organized private sector. The Council, in collaboration with the National Assembly, the Judiciary, the Ministries, Departments and Agencies (MDAs), and the private sector have implemented over 100 reform initiatives through accelerated national action plans focused on ten (10) indicators, these reforms are aimed at reducing the challenges faced by SMEs while doing business. These reforms implemented across various sectors of the economy and Ministries, Departments, and Agencies (MDAs) of government have seen Nigeria move up 24 places in the World Bank’s Ease of Doing Business Index 2018, from the 169th position on the 2017 ranking and 170th position on the 2016 ranking to 145 in the World Bank’s 2018 report. In July 2017, the Council kicked off the sub-national Ease of Doing Business project with all States and the Federal Capital Territory (FCT), with the primary aim of cascading the ease of doing business initiatives down to the sub-national level by engaging and collaborating with state governments to implement reform initiatives that would increasingly make their states more attractive to business. The Enabling Business Environment Secretariat (EBES) assists the MDAs to implement the reform agenda of the Council. Please visit www.pebec.gov.ng for more information. Investors are happy about the government’s commitment to reducing the cost of doing business as they believe this is already creating a more enabling environment for existing businesses to thrive, and new ones to emerge, thereby improving competition in the economy. Some expressed concerns about the regulatory environment. They believe there are too many regulators, resulting in overlaps of their functions. There is nee for government to harmonise agendas of these agencies in order to strengthen their oversight functions.